is a place to discover classical music by lesser-known composers, and, occasionally, lesser-known works by composers who are well-known. Each listing will have CD information, a brief description of what you might expect of the music, and a link to where you can find it. All will contain accessible works that have given pleasure, and in most cases are off the beaten track. A recommended recording may be recent or it may have been around for years. We hope you will join us! Born into a Belgian family of instrument makers and musicians, Fétis became perhaps the most important music historian and musicologist of the 19th century, as well as an influential critic. Though his writings were encyclopedic, his compositional output was relatively sparse. His chamber music consists of three string quartets, three string quintets, the sextet included here (scored for the unusual combination of piano 4-hands, 2 violins, viola & cello) and a few other pieces, including these 4-hand piano sonatas from 1819. All of the works are finely crafted, and often quite beautiful. The performances are committed and first rate. Hard to find, but worth the trouble. As was usual during most of the nineteenth century, many Scandinavian and Finnish composers trained in Leipzig, and thus were influenced by such teachers as Carl Reinecke. 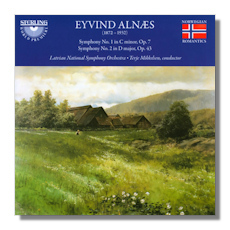 The majority of the Norwegian Alnæs's output was vocal music, but also includes a piano concerto, which has been recorded by Hyperion (CDA67555), and a set of orchestral variations. These two symphonies show their German influences but there are also touches of Edvard Grieg, and the final movement of the second is very Norwegian indeed. For those interested, the disc is a hybrid, multi-channel SACD. All of these are first recordings. 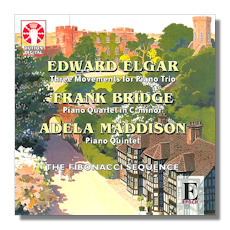 Two of the movements by Elgar – Rosemary and Empire March – will be familiar to those who know his smaller pieces. The realization by Paul Rooke was done to celebrate his 150th anniversary in 2007. Adela Maddison, who spent some years living in France – where she knew a number of well-known composers, especially Gabriel Fauré – and later in Germany, was better known for her songs and opera. The piano quintet was written on her return to England and reflects the events of the time. The music of Frank Bridge, for many years known principally as Britten's teacher, has recently been recorded more frequently. His piano quartet, suppressed for many years, shows the influence of Brahms, Fauré and Ravel. 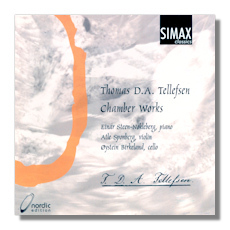 Tellefsen was a Norwegian pianist and composer who came from a musical family in Trondheim. He later studied with Friedrich Kalkbrenner, and then with Frédéric Chopin. This relationship was pivotal and Tellefsen was strongly influenced by Chopin's music, eventually writing his own mazurkas and nocturnes for piano. Tellefsen concertized all across Europe and was regarded as one of the outstanding pianists of his time; he was especially admired for his interpretations of Chopin's music. He is primarily remembered today for his piano music, though he wrote several chamber pieces, including the major works performed marvelously here (this is also the longest single CD I have ever encountered). Two more important compositions are the piano concertos, also available on CD (Simax PSC1232). These gorgeous Romantic piano trios are strongly influenced by Tovey's great love and deep understanding of the music of Johannes Brahms. They were both written in 1895, and the second trio, Op. 8 was originally for piano, clarinet and horn. This version for violin, cello and piano was published 1912. 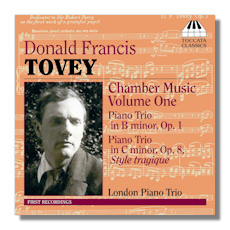 Toccata Classics have produced two other recordings of the music of Tovey, and I look forward to more. The London Piano Trio (Robert Atchison, violin; Bzidar Vukotic, cello; Olga Dudnik, piano) play with warmth, energy and a rich, perfectly balanced sound. Fibich is generally regarded as the greatest of the Czech composers of the nineteenth century after Smetana and Dvořák, and although he wrote in a number of genres, he's best remembered for his orchestral, piano and operatic music. 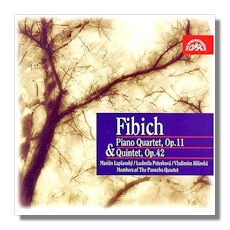 The opening of the piano quartet makes it clear that you are listening to the work of a Czech, but Fibich was no imitator. Both these works are immediately attractive, not least because of the unusual combination of instruments in the quintet, in which Fibich uses especially the horn to good effect. 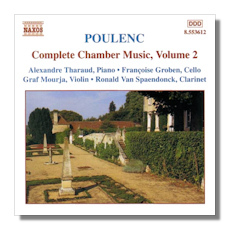 The Sonata for Clarinet and Piano was one of the last works composed by the prolific Poulenc, as part of a set of three wind sonatas never completed. The characteristics of Poulenc's style are all here – great wit, kaleidoscopic moods, shifting harmonies that skitter around but do not disturb the impression of tonality, discords that skip by so quickly that they are hardly noticeable, and in the slower movements, nostalgia, longing, and sweet melody. 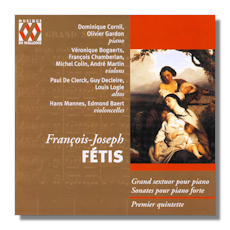 The other pieces on this disc, as well as the other volumes in this series, are all highly recommended. Jongen's quartets featured in an earlier Explorer article. The works on this CD will appeal to anyone who enjoys Debussy, Ravel and Fauré in particular. The Op. 10 trio has had other recordings but Op. 95 is less well-known: the first piece especially has some limpid piano writing that makes it a real winner. The pianist, Diane Andersen, will be a familiar name to seasoned collectors. 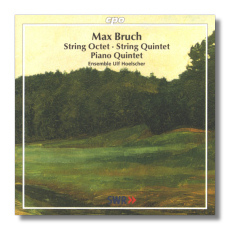 Two of these stunning works were written at the end of Bruch's long and productive musical life. If you already know and love the First Violin Concerto, Bruch's most popular work, you will certainly enjoy all of these exceptionally lovely pieces. The Octet, with it's depth of emotion, and its rich scoring (virtuosic first violin part and use of bass viol to replace the more customary cello) creates a mood that is poignant and unforgettable. The Viola Quintet is a delightful work and it contains an ear-worm Scherzo. I played the Scherzo over and over and wound up singing, whistling, tapping my foot and finally was compelled to purchase the parts. Mention must be made of Ulf Hoelscher and his ensemble. It is an especially fine-sounding group, and he is a strong and sensitive violinist. This disc is a must-have for chamber music lovers. Thanks again to CPO for being a champion of lesser-known works. This fine CD was purchased primarily for the beautiful Clarinet Trio, but the cello and piano works are a fantastic discovery. They fill a long-held desire of this listener for more Brahmsian cello music. They contain melodies and rhythms and the same emotional smiling-through-tears found in Brahms. Both of the Zemlinsky cello works had been presumed lost or destroyed, and were found only recently. The clarinet trio owes its existence even more directly to Brahms, whose own Clarinet Trio predates this one by several years. 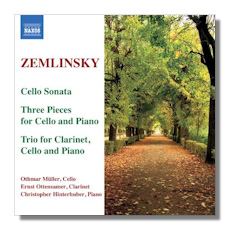 Brahms recommended the Zemlinsky Trio to the publisher, Simrock. 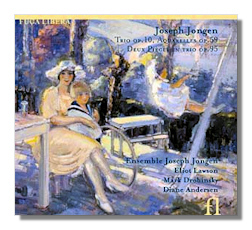 The works on this CD are performed with great sensitivity and superb musicianship.